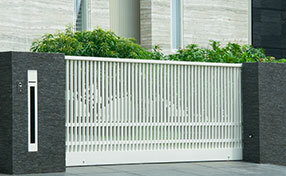 The purpose of automatic gates is to provide a higher level of security to the property and its inhabitants. However, it is also possible for such a system to pose safety hazards if not installed and used appropriately. As a homeowner, you are required to guarantee the highest level of safety for your family, guests and members of the public in regards to the new gate installation. The use of safety sensors has become mandatory for both sliding and swing systems. 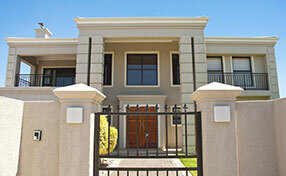 You must ensure that the sliding or swing gate safety loop sensors work appropriately at all times. They can prevent a serious accident involving a careless adult or a small child. It is best if you put a safety sign on the gate as well. This may not seem like much but it will certainly lower the risk of an accident. Choose a sign which is appropriate for the type of system that you have. Follow all safety instructions provided by the manufacturer of your system. It does not matter whether you use a LiftMaster opener or a DKS opener. You must take all appropriate safety measures and precautions. You should sit down with your family and explain how the automatic gate works and what safety measures have to be applied. You should make the dangers clear to your kids and warn them not to play with or around the system. You must take all appropriate measures for childproofing the system. Small children should not be able to reach the gate opener keypad and press the buttons. 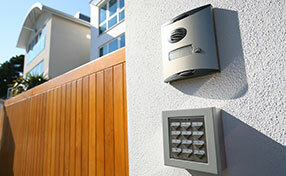 Keep the gate clicker at a safe place and ensure that the kids will not have access to it. If the gate has metal bars you have to ensure that the distance between them is sufficient to prevent accidental entrapment. Finally, you must ensure that the system is in perfect operating condition at all times. 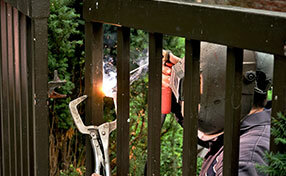 You must provide timely gate repair when it is required.